Eclipse is a method aimed at eliciting subjective qualities of people’s experiences of and relationships with public places. 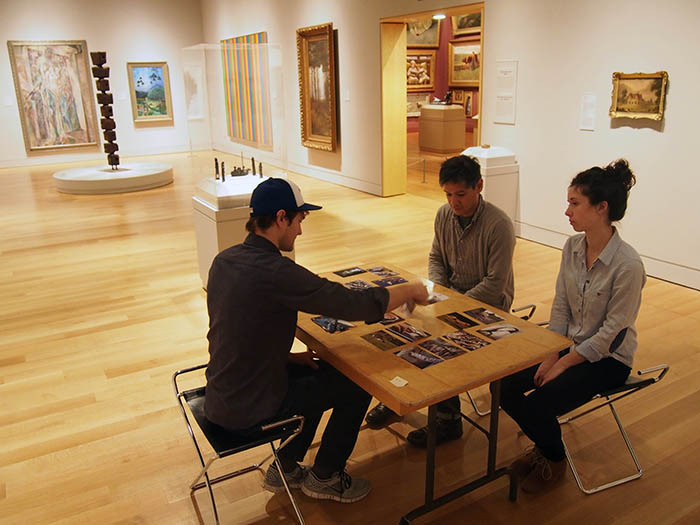 This Eclipse method guides participants to sequentially explore their memories, sensations, sense of place, and stories related to a public place. The method is split in four activities. 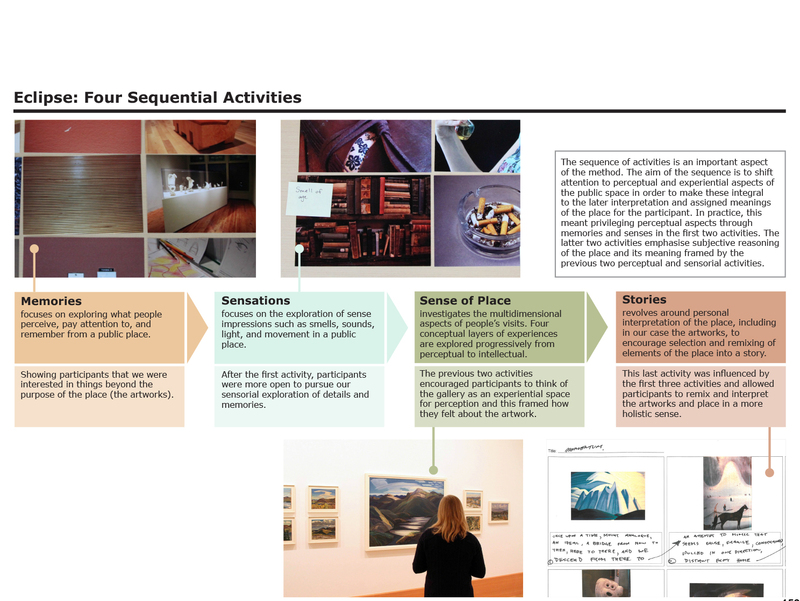 Each activity is meant to guide participants from reflecting on physical perceptions towards more intellectual reflections on the gallery and its space. 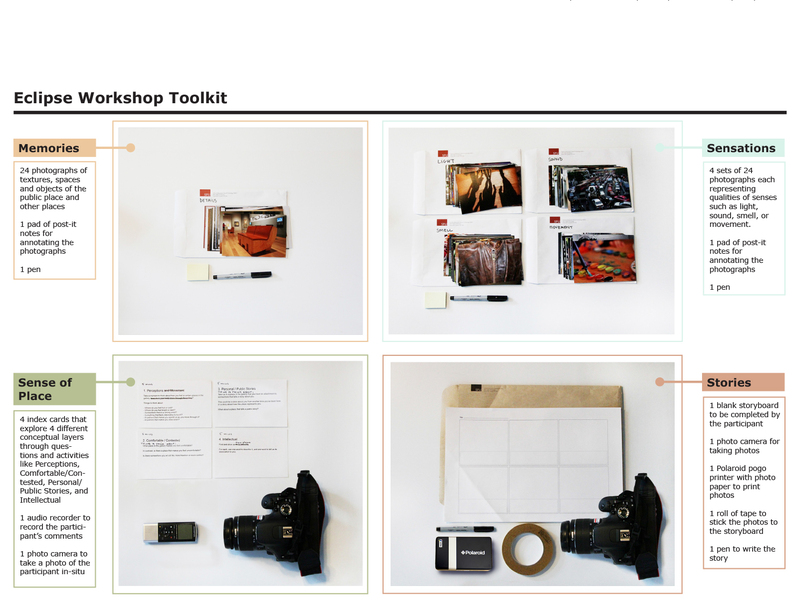 We used this method in a collaborative project with the Art Gallery of Ontario (AGO), in Toronto, Canada. Project in collaboration with Ron Wakkary, William Odom, Sabrina Hauser, and Leila Aflatoony from the EDS studio at SFU. _ Wakkary, R., Desjardins, A., Odom, W., Hauser, S., Aflatoony, L. (2014). Eclipse: Eliciting the Subjective Qualities of Public Places, Pictorial DIS 2014, New York, ACM Press. 151-160.